and We have created you in pairs. There is nothing better for two who love one each other than marriage. When you see a happy couple, it doesn’t mean there are perfect, it means they a solid foundation and sound practice within their marriage. As Muslims we understand that Allah (swt) bears witness to all of our actions, thoughts, intent and desires. Therefore, if we are conscious of this, we along this journey, we are better able to have a solid base. Here are some tips to maintain happiness in your marriage. Accept. Accept each other as you are. Trying to change the other person can only provoke conflict and unhappiness. Place your trust in Allah (swt) and know the only person you can change is yourself. Listen. Be sure to really listen to your partner with the intent of truly understanding them. Listening to your partner is one of the greatest gifts you can give. Although sometimes it’s difficult, remember, you may not always be able to ‘fix’ things, this is where you turn to Allah (swt) and ask for his support. Trust & Forgive. Trust and forgiveness are sometimes difficult but it is the essence of Islam, which magnifies the importance to practice this with your spouse. If you consciously make this your first natural response, there will be blessings from Allah. Be sure to remember that we are all human and it is by Allah’s (swt) will that we make mistakes. Respect. This comes in many forms and likewise can be shown in many ways. Figuring out early in the marriage each others boundaries is vital to fulfilling this and once you aware, it is easy to uphold respect for one another. Touch. The power of touch is incredible and necessary to be unified in a marriage. Although much of this is to be left within the four walls of your home, even the touch of a hand during a difficult time is vital. Compliment. Once the honeymoon stage is gone and life takes over, it’s easy to get into a rut with this one. Remind your partner frequently why you two work so well together. A heart felt compliment goes a long way and it’s free! Give. In Islam we are taught to give without expecting anything in return and your partner is not exempt from this. So just give. Show. Every day you wake and thank Allah (swt) for another day. Do this also for your spouse by showing them how much you appreciate and love them every day. Enjoy. Sit back and enjoy the life you have with your partner. Remember Allah (swt) in everything you do and enjoy the blessings He has given you. 1. Request an Application Form for Marriage Services from Islamic Center of Midland. 2. 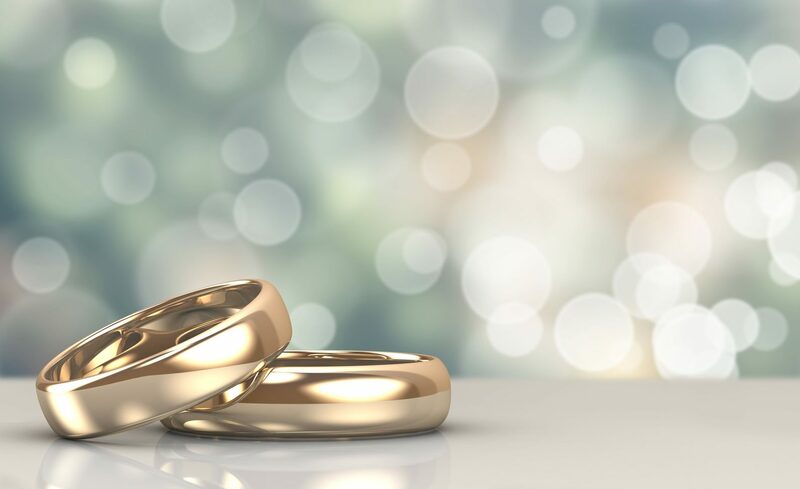 Obtain the Marriage License from the county where nikah ceremony is to be performed. (This may be different than the county where bride or bridegroom lives). 3. Return the Application Form for Marriage Services completely filled and copy of Marriage License to the ICM office, by mail: 1801 N. Stark Rd., Midland MI 48642. 4. Original Marriage License will need to be brought to Nikah Ceremony for the Nikah Performer to fill in and complete it and be signed by all the parties and witnesses. This is to be submitted to the County office issuing marriage License for Marriage Certificate. A VALID Department of Public Aid Card (the I.D. AND the Medical Card). United States Resident Alien Card. If legal guardian is giving consent, a certified copy of the Guardianship papers MUST be shown. 1. Pick up the from Application Form for Marriage Services from ICM. 2. Mail the copies of both the Marriage decree issued by a judge and Marriage certificate issued by the County where such judgment was entered. 3. Return the Application Form for Marriage Services completely filled, by mail to1801 N. Stark Rd., Midland MI 48642. NOTE: If a marriage is performed in ICM, the Nikah Ceremony can be performed in the Prayer Hall or in Meeting Room. For use of facility for food etc., there will be additional charge. For information regarding fees for Nikah and/or Meeting room rental, contact us via email.